Congratulations to Josh Rasmussen as he finished 2nd in the state with his solo, Introduction and Dance. Calvin B. and Josh R. performed at Capital High School in state competition May 7th, 2016. 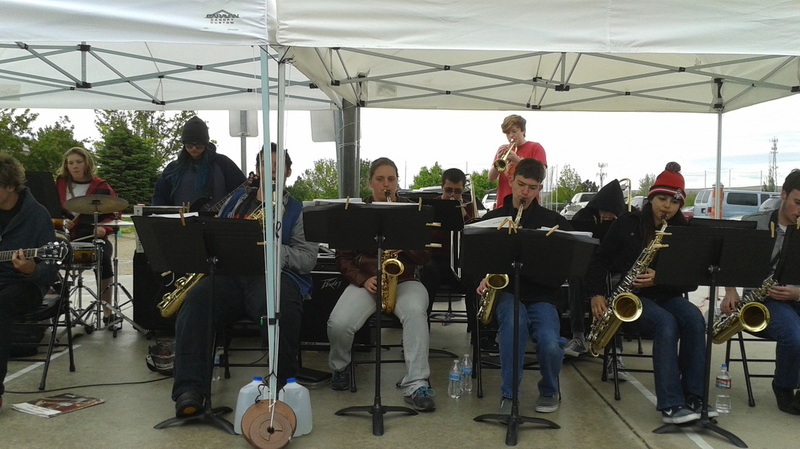 April 28th, 2016 Kuna Jazz I performed for parents and students at the Teed Instrument Fair. 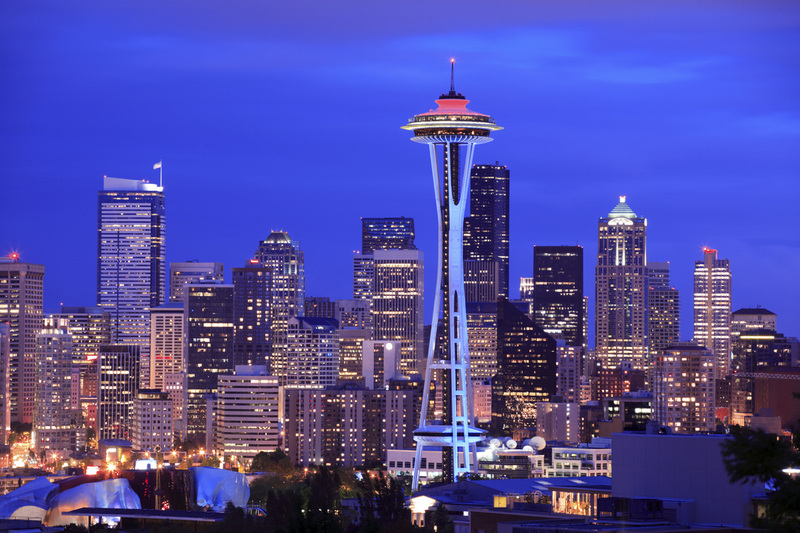 April 20-23, 2016 Kuna Bands traveled to Seattle to participate in a clinic with the University of Washington. Highlights also included a clinic with Mr. Clayton at Chiawana High School in Pasco, WA as well as plenty of sight-seeing! Fri. April 15, 2016. The Kuna Wind Ensemble and Kuna Concert Band both had fantastic performances at Vallivue High School as part of the D3 Band Festival! Thanks to all who participated in our 2016 Dinner and Auction Event. Many volunteers helped make the event a great success! Thanks to all for the generous donations of items and money to help us obtain new uniforms in 2016! There were 10 students representing Kuna High School at the annual DII Solo and Ensemble Festival March 2, 2016. All students played extremely well. 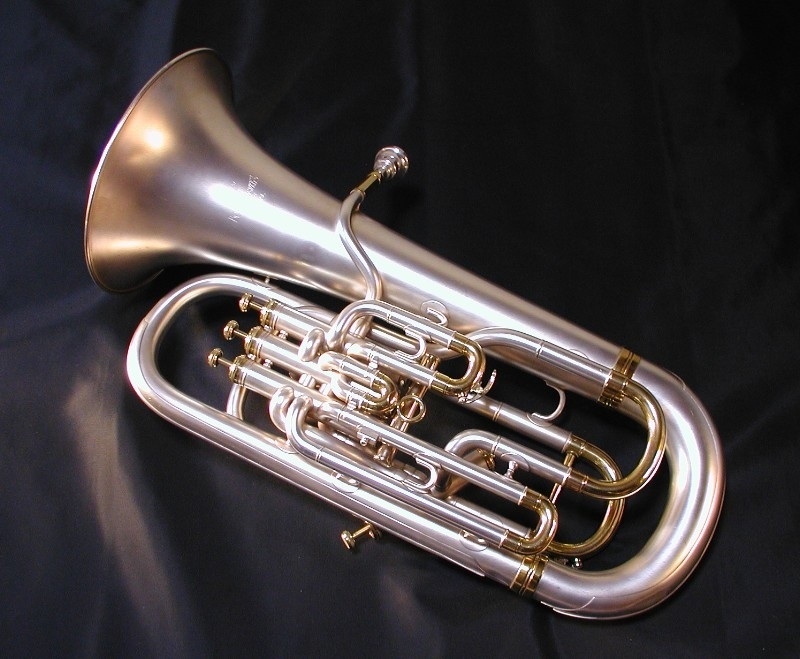 Josh Rasmussen will be performing his euphonium solo and the State Festival May 6-7th at Capital High School. Calvin Blitman was selected as an alternate with his tuba solo. Kuna High Musical- "Seven Brides for Seven Brothers"
The Kuna Fine Arts Department has been putting a lot of work into the school musical, "Seven Brides for Seven Brothers". Performances begin next Thursday and run through Saturday. It is a high-quality event with great singing, acting and music! The Kuna Pep Band had a great performance at the Girl's District Championship Thursday, February 11th. During haltime the Bishop Kelly Band joined in and created an incredible combined pep band. Kuna Jazz I was able to travel to Reed, Crimson Point and Teed Elementary Schools in addition to Kuna Middle School to share music with hundreds of elementary school students. 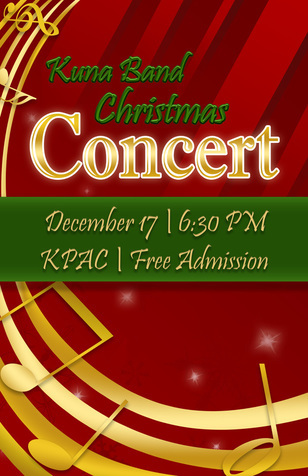 November 10th, 2015 at the KHS Gymnasium, Skyler N., Kaylynn O., Calvin B., Josh R. and Mr. Krall performed as a brass ensemble with the Kuna High Chamber Choir in front of hundreds of students, parents, community members and veterans. 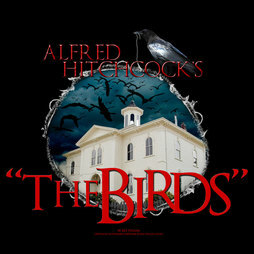 The Kuna Gold Band and Guard performed it's 2015 show "Alfred Hitchcock's: The Birds" for the final time in the KHS Commons for parent, family members and community members. Thanks to everyone involved for creating such a great year! Kuna Gold had it's best performance of the season at the University of Oregon's Autzen Stadium. The band finished in 8th place and had a fantastic trip! Sage has been accepted to the 2016 Idaho All-State Honor Band to participate on flute. This year's All-State Conference will be held in Pocatello. Kuna's top jazz band performed Saturday Oct. 24th at Bernie Fisher Park in Kuna. Members of the Kuna Gold Marching Band spent time on Oct. 23rd at Silver Trail Elementary to help with the Elementary Fall Festival. 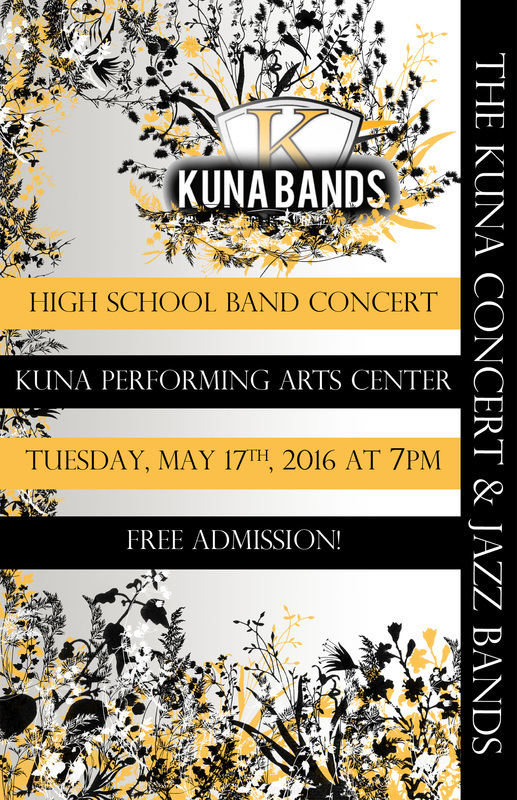 The Kuna High School Band Program will be taking a tour to Seattle, WA this spring. Check out the document below for more information! The Kuna Gold Marching Band recently placed 3rd in the III Open Division at the Mel Shelton District III Championships. The Kuna Gold has obtained best visual and best percussion awards throughout the season in addition to 3rd place finishes. Basque Soccer Friendly Stadium Cleanup a Success! A HUGE thank you to everyone who participated Saturday July 18th in cleaning Albertson's Stadium in Boise! We're one step closer to new uniforms! 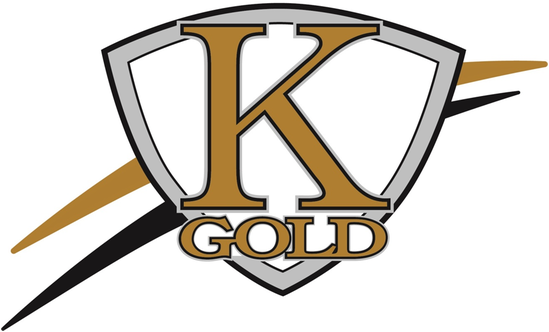 Kuna Gold Looking Ahead to New Uniforms! Our current uniforms are badly in need of replacement. They have been meant as a temporary fix while we've looked to update with modern uniforms. The time for new uniforms is NOW! Please feel free to contact us if you are willing to help us in this endeavor. 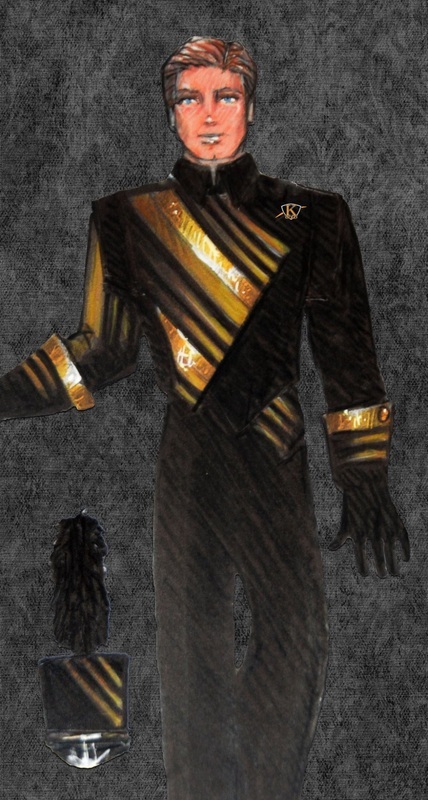 Illustration of uniform is by Fred J. Miller Inc.
Tuesday, July 7th, 2015 we had 6 different corps performing at our high school. Corps and coordinators had nothing but great things to say about Kuna! Congratulations to Treasure valley INdependent! They finished 3rd in the Percussion Independant A division with a score of 76.00. Congratulations to Autumn Kelly and Jadzia Graves! Both students were participants in the 2015 Idaho All-State Band in Spokane, WA. Guest conductor for the event was Dr. Phillips from Colorado State University. On Jan. 9, 2015 Sarah Wollan put on an outstanding concert combining the Kuna Wind Ensemble and Shaun Canon! 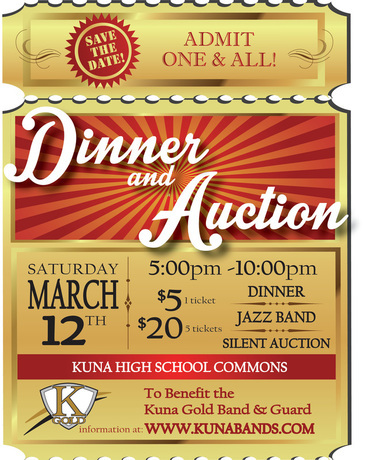 Congratulations on an excellent performance, Kuna Gold!